‘Insecure’ star Jay Ellis reveals why he’s thrown his weight behind HIV/AIDS advocacy, which – while less present in the public conversation – continues to affect minority populations. Larry King: You’re involved with HIV advocacy, right? Larry King: Well it has diminished, hasn’t it? Jay Ellis: So many cocktails and so much medicine to keep T cell counts higher, but infection rates are actually climbing. It’s something that is not talked about, and it’s something that is actually affecting the Black community and the Latino community in this country more than anyone else. Larry King: Why’d you get involved? 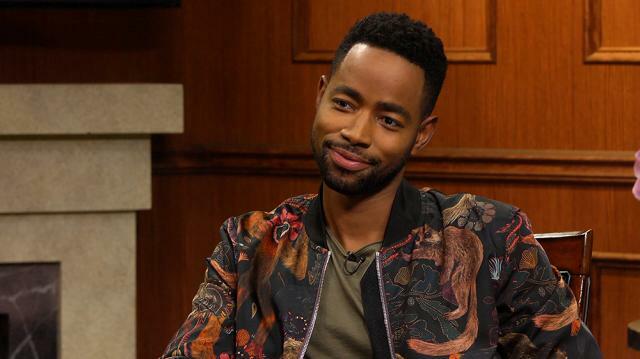 Jay Ellis: I lost an uncle to aids in ‘91. And at the time, aids was still a baby, nobody really knew what it was. Jay Ellis: It was my grandmother’s brother. And then, I’ve had another family member who’s lived with HIV since the late 90’s. So for me, you know, being able to use this platform, and being able to reach people across the world, especially people that look like me and say, “Listen guys, we’re being infected by HIV 3-4 times more than any other race in this country,”... we need to be aware, we need to know, we need to protect ourselves, we need to know what resources are there...I feel like that’s just part of what I’m supposed to do.